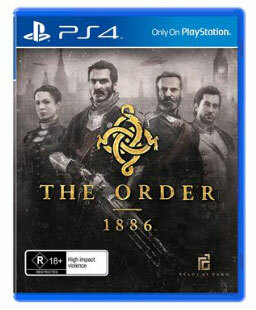 Prior to its release, there had been much hype surrounding the PS4 exclusive The Order: 1886, developed by Ready at Dawn and SCE Santa Monica Studio. Set in an alternate Victorian London, the adventure sees you take control of Sir Galahad as he and the Knights of the Round Table engage in battle against man-beast hybrid creatures named the half-breeds. With humanity suffering multiple defeats in their war with the half-breeds, the tide begins to change in favour of the humans thanks to King Arthur and his Knights of the Round Table discovering a substance that heals, and increases life expectancy when consumed called Black Water. With the aid of Nikola Tesla’s brilliant mind inventing, and arming the knights with futuristic, powerful weapons and devices, coupled with the war taking place during the industrial revolution, humanity believes that it’s only a matter of time before the war is over, and the half-breeds will finally be defeated. The synopsis of The Order 1886 sounds pretty exciting, though unfortunately the reality is quite the opposite. What The Order does well, is pretty evident from a gameplay clip you can find online. Visually it is quite stunning. The Victorian, steampunk setting, mixed with the excellent character design had many gamers excited by what else The Order was going to offer. Aside from the obviously high production values, sterling voice acting and sound effects, there really isn’t much else to justify visiting this wonderful setting. It’s a great shame that a game with such high potential has been released without the most fundamental element not included. The key ingredient missing here is – fun. 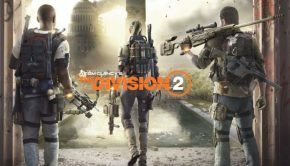 For a third person shooter to feel so mundane, with little to feel enthused about while engaged in fire fight after fire fight, you’d expect to at least feel a tinge of excitement, but The Order just doesn’t grip you, or pull you in. There’s no edge of your seat moments. The game plays like a movie that incorporates moments of gun fights, intertwined with some of the most pointless, abject QTE (quick time events) I’ve experienced in video games. The QTE’s seem to have been included after the scenes in which they exist were finished. Maybe they were put in too try and keep the players attention as it becomes quite easy after a period of playing time to switch off your senses and just sit and wait until you have to engage in battle. Each battle feels repetitive and can quickly zap any interest away from you pretty quickly. There are certain moments when a heavily armoured enemy will approach you with a shotgun or laser gun and you have to take them down pretty sharpish as receiving a few hits will kill you. I think that is supposed to get the adrenaline pumping, but all it does is serve to annoy you. The most annoying thing above all else in The Order would have to be the cinematic aspect ratio that has been implemented. The black bars at the top and bottom of the screen are incredibly inconvenient, pointless and frustrating to look at. The Order fundamentally is a shooter, so these black bars don’t add anything other than to restrict your field of vision. 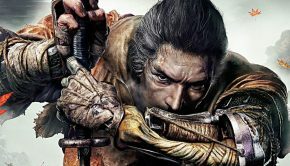 All of the above may sound disappointing but there are some aspects to the game that are done well, aside from the visuals and sounds. The cover based shooting system is solid but it certainly isn’t a game changer. I enjoyed the brief but interesting scenes with Nikola Tesla but I would have liked there to have been more exploration into the science of the weapons and devices seeing how the developers decided to use a genius scientist like him in the game. With The Order being set in an historic London, it is also a nice change of location instead of being deployed into the futuristic worlds of a U.S. city navigating through destroyed skyscrapers and parks. Overall, I don’t think you’ll be missing out if you didn’t experience The Order 1886. Weighing up the pros and cons results in a heavy tip towards the cons, and with that I would say save your money for something else. There was so much potential surrounding The Order, yet it hasn’t lived up to the expectations. On a positive note, there is the scope for a sequel, or prequel that if it can utilize the good aspects of this effort, and incorporate some fun, then maybe we’ll have reason to feel excited about visiting this world another time. 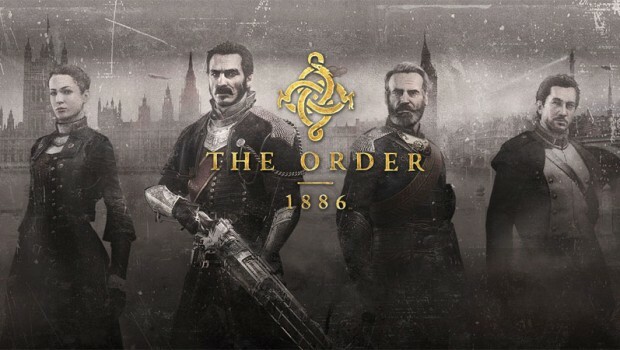 Where History and Myth Collide – Set in a rich, detailed world that fuses real historical figures and events with new fictions and twists on familiar myths and legends, The Order: 1886 presents a unique vision of Victorian-Era London never seen before. Centuries of Conflict – In this alternate history, a dangerous foe known as Half-breeds emerged centuries ago. In response to this new threat, an elite order of Knights formed to protect humanity from this deadly threat. Strengthened by a mysterious liquid called Blackwater, the Knights of The Order are able to heal their wounds and extend their lifespans in order to engage this supernatural foe. It is the year 1886, and through the dawn of the Industrial Revolution, humans have advanced technology to gain an advantage in this war. Now equipped with powerful weapons to aid in their struggle, The Order is starting to turn the tide against the Half-breeds. A New Threat Arises – While the Half-breed threat is pushed back into the shadows, a rebellion emerges that threatens an already unstable peace. Tight security measures that amount to a near police state, combined with a widening gap between the rich and the poor, have left the citizens of London angry at those they perceive to be the cause of their woes. The Rebels’ ranks are growing, as is their boldness, as they declare an all-out war against The Order and the government oppression it represents. Now, the Knights of The Order must face threats on all sides as they struggle to maintain peace and order. Danger Around Every Corner – Assume the role of Galahad, and engage both Half-breed and rebel as one of the most experienced Knights of The Order. 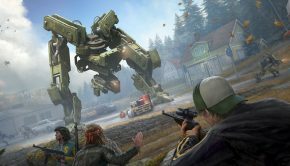 Armed with a deadly array of advanced weaponry, utilize the third-person view and expansive cover system to float in and out of cover as you hunt your enemies. The Right Tool for The Right Situation – Fire bolts of electricity to take out long-range targets with the Arc Gun, or rain down fire on enemies with the Thermite Rifle by dousing them in a cloud of flammable dust and igniting it with a superheated flare. The weapons of The Order: 1886 are all based on plausible science and technology. Ahead of Their Time – Advances in technology have also helped The Order patrol the city and keep its citizens safe. Airships patrol the skies and are a constant reminder of the police state that controls Londoner’s lives. Every member of The Order wears a wireless device to communicate with each other and the airships that patrol the skies. A variety of gadgets aid them in the work, such as the monocular that allows the Knights to see across great distances, signal airships via Morse code and more. Filmic Vision – Immerse yourself in the gritty world of The Order: 1886 through the stunning, cinematic presentation made possible with realistic lighting and rendering techniques and a visual presentation that mimics the nuances and imperfections of actual motion picture cameras and lenses. The dirt on the camera lens, the dust in the air and the light passing through broken and boarded-up windows all make for a more realistic and believable presentation. 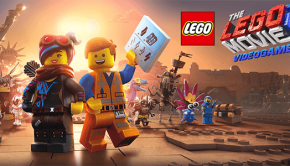 Rich Storytelling – The cinematic experience is furthered by the deep, sophisticated narrative, featuring full performance capture for characters and scenes. Seamless transitions between action and story sequences work together to bring the rich narrative, rife with conspiracy, intrigue and betrayal to life.